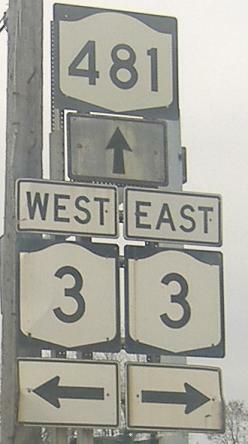 I-481 becomes NY 481 after completing its eastern half-loop around Syracuse and crossing I-81, 9 or so miles after it left. The southern half of I-481 (south of I-90) was numbered I-281 until 1970, and you got me as to why that changed (potential Binghamton bypass?). 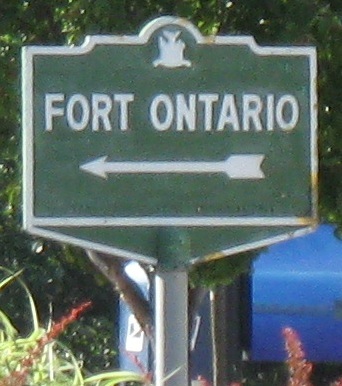 The two photos above are courtesy Doug Kerr. Also courtesy Doug Kerr, WB and EB on NY 173 just south of I-481 Exit 1, which is just northeast of I-81. 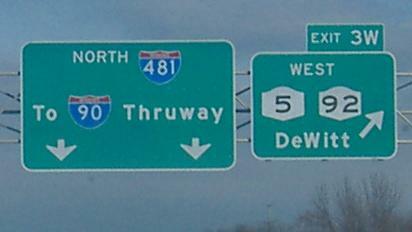 First the contractor gets too generous with the I-90 shield, and then too skimpy with the bubbly I-481 shield. 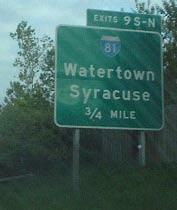 The Exit 6 ramp to I-90, courtesy Doug Kerr (replaced now). 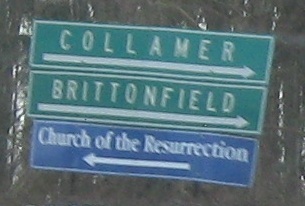 Similar unusual signs at the foot of the NB and SB Exit 7 ramps to NY 298, respectively. 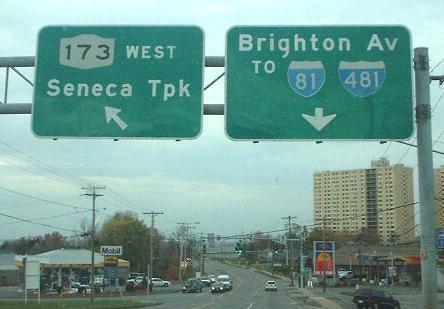 SB on NY 481 approaching the beginning of I-481, courtesy Doug Kerr. 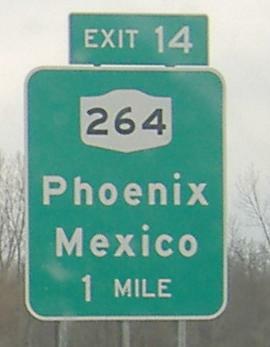 North of there, you could almost swear this was the I-19 exit in Arizona. 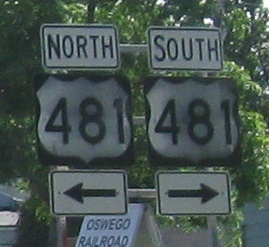 Back onto NY 481 NB, up to the end in Oswego with an old sign in the background and ugly signs in the foreground. 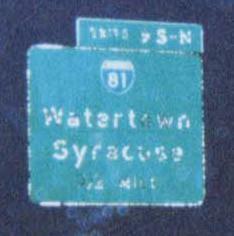 Utica St. EB taking traffic over the Oswego River from NY 48. 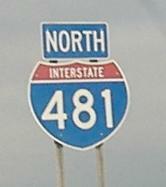 I-481, NY 481, but never US 481, nor is there an actual US 481 in the West. 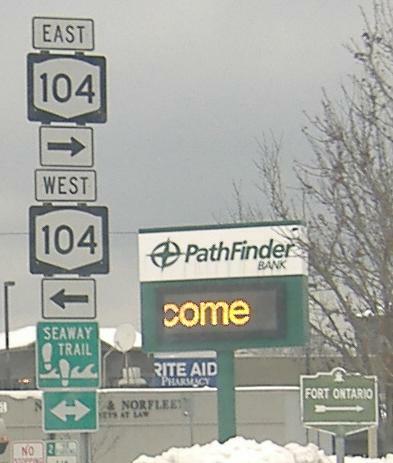 Just south of NY 104, pointing to the visitor center on the east side of the road.